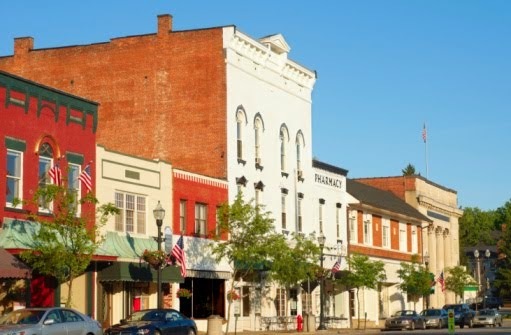 Every small town, it seems, has a Main Street -- a place dotted with mom-and-pop shops, each with its own inviting display, encouraging people to stop in and check out their wares. The bakery or candy shop often has samples out front for people to stop by and taste as they walk down the street. The neighborhood grocer knows the patrons by name and has a variety of appealing fruits and vegetables right out front. The local cafe offers places for people to sit outside and engage with others as they pass by. For many people, this real life type of Main Street is just a figment of their imagination or a distant memory of days gone by. Their reality is comprised more of national brands and busy shopping malls. What marketers have increasingly found, however, is that customers find it more appealing to shop on websites that contain many of the popular features of these once commonplace Main Streets than websites that don't. Even though the world has become more interconnected and people are increasingly more accustomed to the hustle of city life, the desire to feel welcomed into a place of business and valued as a customer never goes away. Start by keeping careful records of how customers use your website. Responsive sites that can remember what a customer looked at the last time they visited or what they bought in the past tend to encourage more repeat business than those that don't.